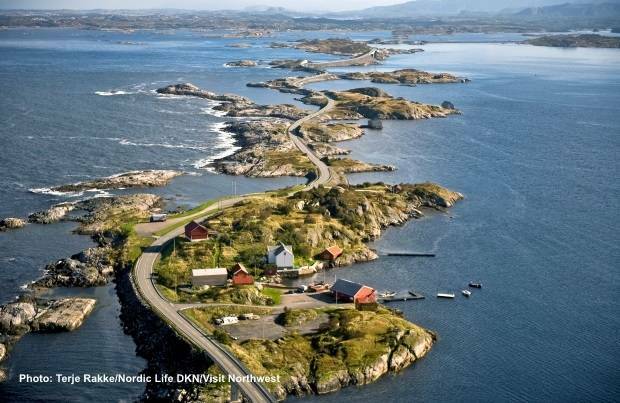 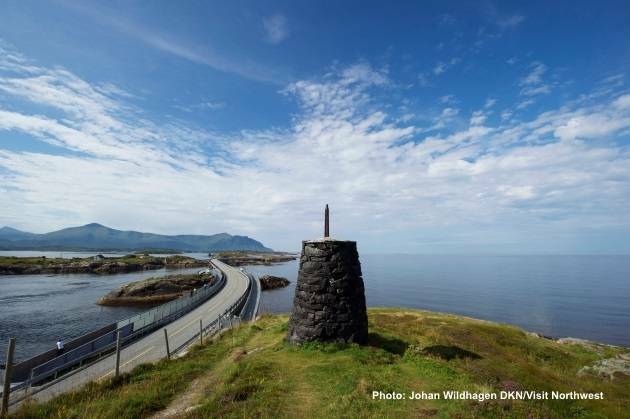 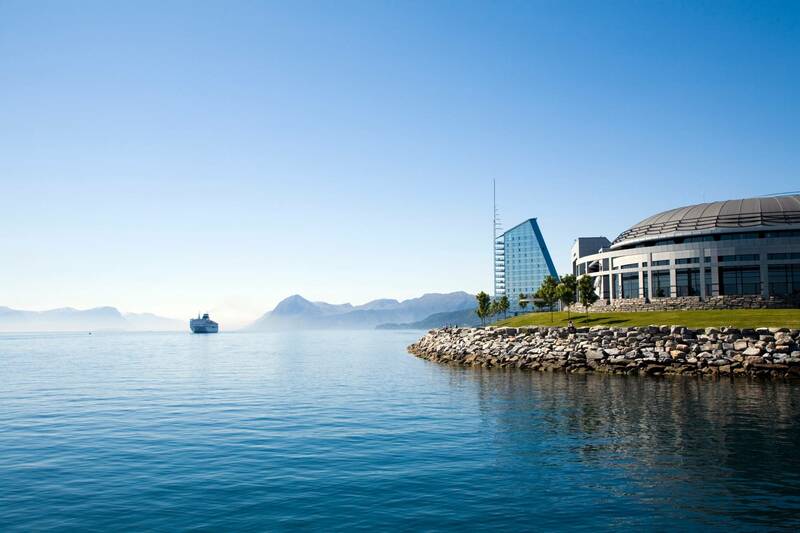 This trip goes from Kristiansund via the Atlantic Road - often described as the world’s most beautiful road – to Molde and back to Kristiansund! 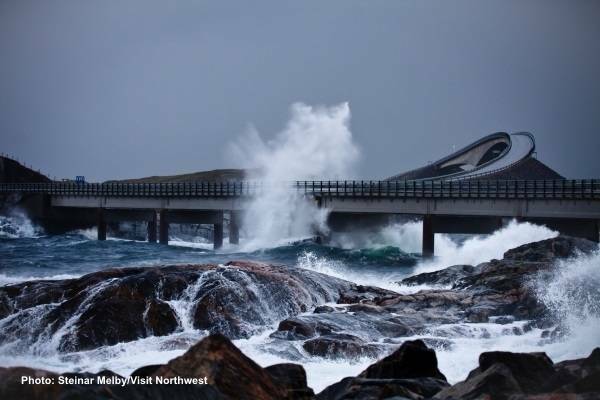 At the Atlantic Road, you will get off the bus at Eldhusøya. 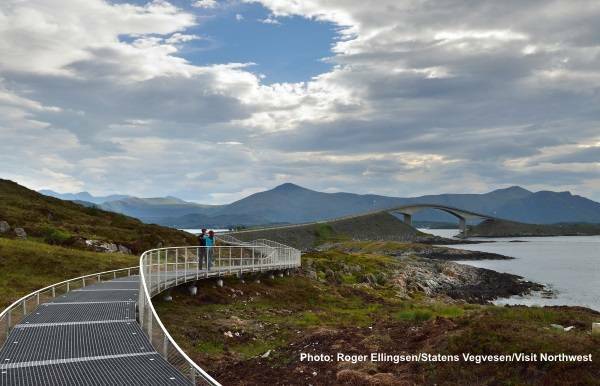 Here you can take a walk on the suspended walkway around the islet. 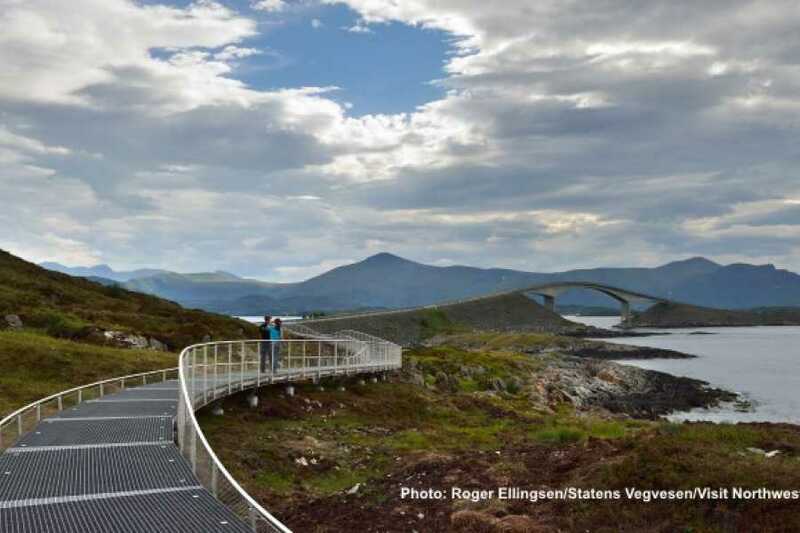 The walkway consists of latticework (“grids”) “floating” above the terrain, and is suitable for or anyone. The service building at Eldhusøya, with its distinct architecture that falls into the terrain, has a café and toilets. (Open Saturdays and Sundays in the spring and every day 1st June – 31st August.) 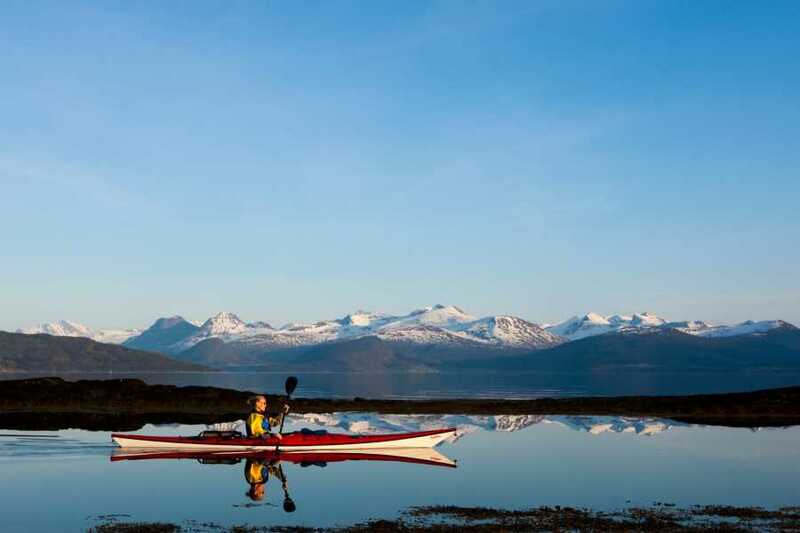 The area also offers a magnificent landscape, a rich bird life and great fishing opportunities. 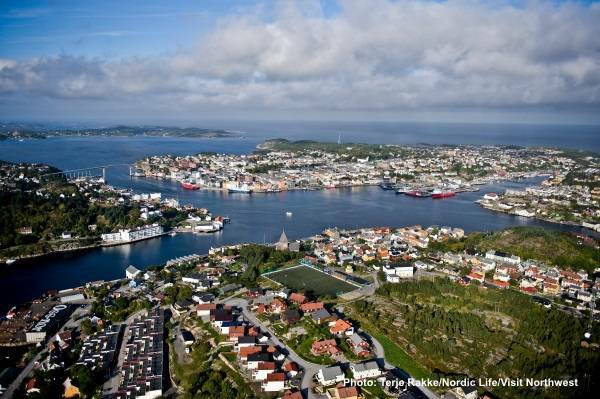 The trip back to Kristiansund goes via Batnfjorden and Frei. 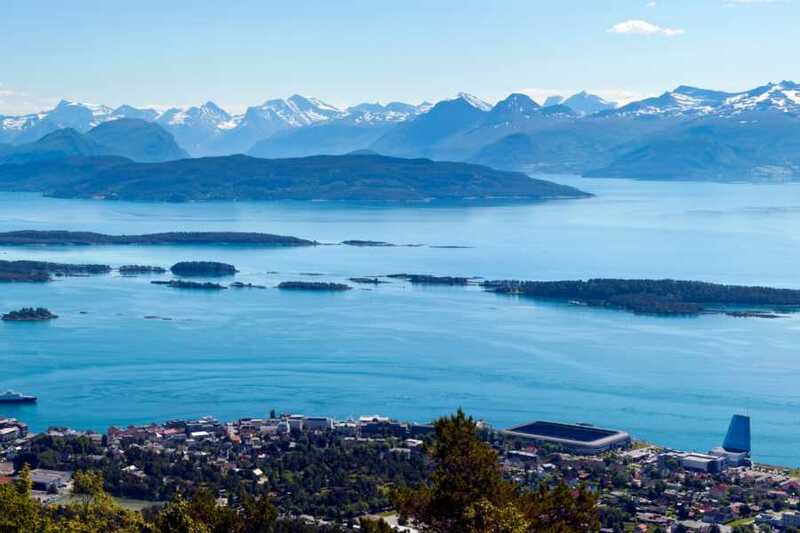 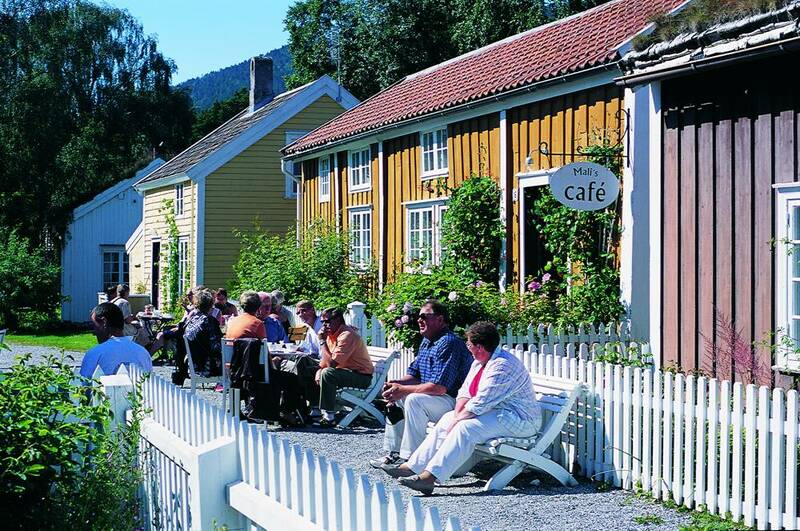 Along the route you can enjoy the beautiful mountain and fjord landscape.